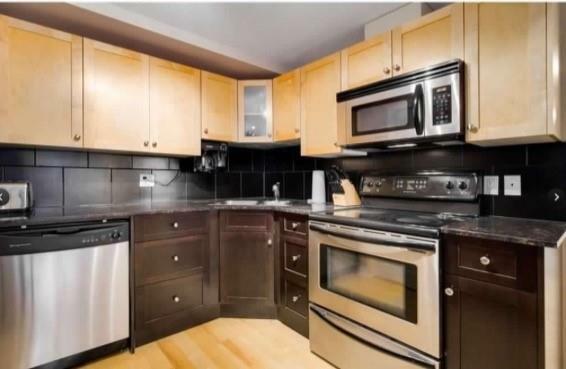 Nicely updated two bedroom, one bath apartment in the Sol in Sunnyside! Corner unit with balcony and nice views of the hillside. Spacious kitchen + dining area with hardwood, stainless steel appliances and corian countertops. 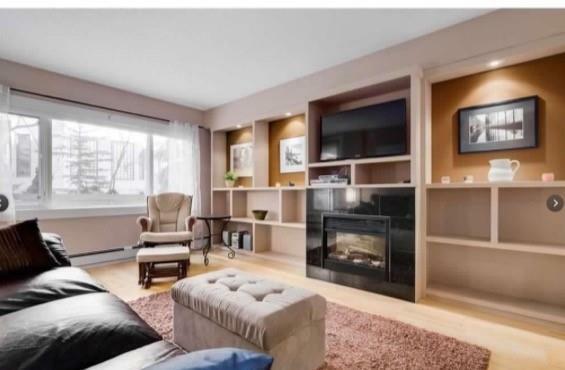 Roomy living area with hardwood, fireplace + built-ins, and large window and balcony access for lots of natural light. The large master bedroom provides additional work or living space, with walk-in closet and two large windows for lots of natural light and view. 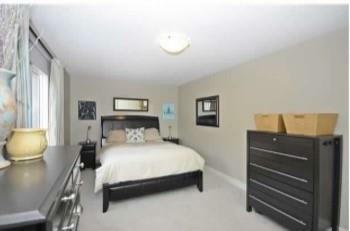 Second bedroom is ideal for a guest, roommate, or home office. Spacious 4 piece bath features soaker tub and tiled + glass shower and extra storage, and the laundry closet has stackable washer + dryer. 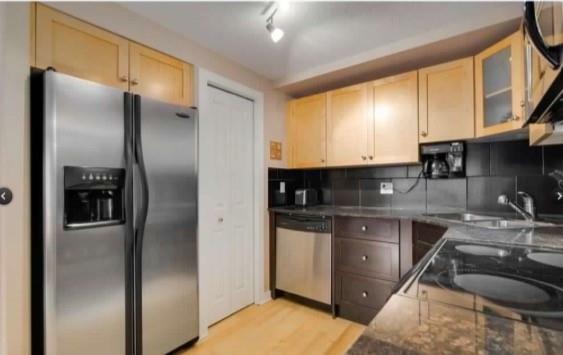 Includes major appliances, window coverings, and additional furnishing at Buyer's option (see Additional Public Remarks). Sol is located steps to Kensington shops and restaurants, the river pathways, SAIT, the Peace Bridge to downtown, and Sunnyside LRT is close by. Nice investment! Book a viewing and COME SEE!